Fish Sh!t is a living product! It is organic and University tested! Fish Sh!t makes fruits, herbs and vegetables healthier, taste and smell better and it improves plant growth and production. 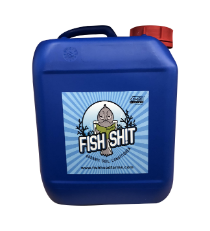 Fish Sh!t also increases a plant’s yield up to 20%. It provides a complex bacteria profile that is a closer piece of a natural ecosystem than anything you will find on the market. It is a piece of nature in a bottle. Most important, it works!